"England is always challenging, but you can trust the pitch, you can trust the bounce, so there is always value if you play your shots"
Are you keen to get back on the field in the Indian-like conditions in England this summer? Yes, I am, actually. I have played enough cricket in England, especially county cricket. The good thing for me is, I have enough experience of playing in the 2014 series, so those conditions are familiar to me. The pitches have been dry and slowish so far. How different were they from when you played for Yorkshire in the early summer? It was completely different. There was a lot of moisture on the pitch. Then a week before the county season started there was snowfall on Easter Monday. So at Headingley, or even in away matches in the north, it was always challenging. The first game was washed out, which was a bit unfortunate. There was a lot of rain at the start of the season and because of that there was enough movement in the pitch. Even the average scores were about 200-250. 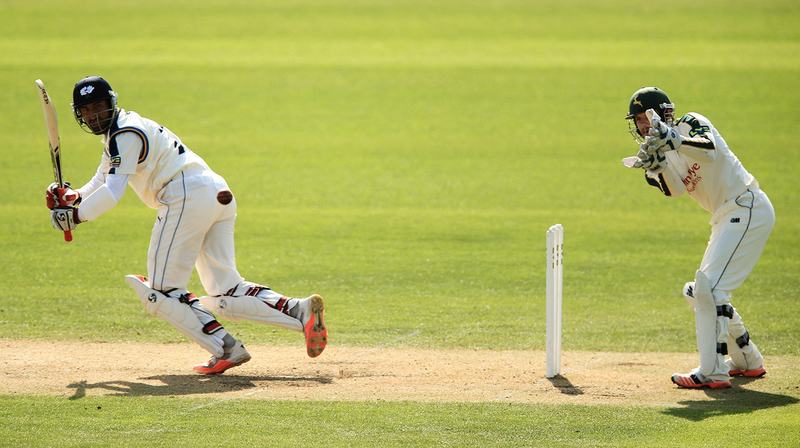 Compared to your previous stints in county cricket, how would you describe this season at Yorkshire? It has always been good. I had my first season in county cricket in 2015. As a batsman it is always challenging, but at the same time you can trust the pitch, you can trust the bounce, so there is always value if you play your cricketing shots. You have played for Nottinghamshire as well. And you have played at different times of the county season. What are the things you have picked up? The most important things when you play in England at the start of the season are that there is enough help for the fast bowlers and there is deviation off the pitch. At times you can be 20 for 3, but you still figure out a way to score runs. And as you play more, you know your game even better. And once you switch to an easier pitch or easier conditions, you know that it won't be as difficult, and then you are confident enough. So playing in the toughest part of the season has taught me a lot. "After scoring many double-hundreds, especially early in my career, I thought I should be able to get a double-hundred even in England. But that is not the mindset you should have"
You have an average of 22 in five Tests in England. Does that reflect in your actual form and mindset? Not really. See, sometimes you do fail, but you don't need to put a lot of pressure on yourself as an individual. I feel I don't have to prove myself to anyone other than myself. And I know that I have scored enough runs there in county cricket and even for India A. It is not [always] about scoring big hundreds. I would obviously love to score as many runs as possible, but if you look at the average score in England, it is not like India, where you can get three or four centuries in a five-Test series. 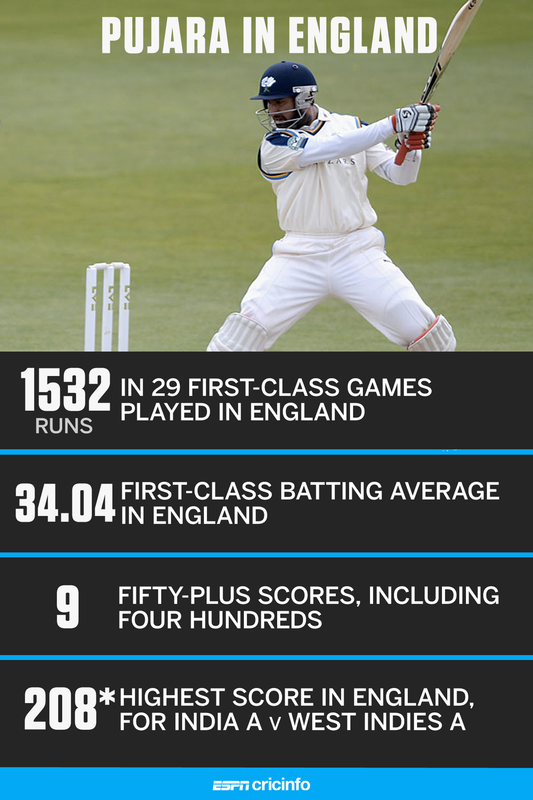 [In England] even the top players have about two centuries and few fifties. So the average score is different from when you play in Australia, South Africa, and even in India. You need to accept one thing: the pitches will be challenging. There might be times when you will get out. You need to make adjustments in your technique, in your temperament, whatever needs to be done to be even more successful. I think I have all those things. I have played in some of the toughest conditions. In the South Africa tour [in January], when we played the third Test in Jo'burg, it was the toughest wicket I have ever played on. I could still score a fifty on that pitch. So I am very confident that I will be able to score runs [in England], but I don't want to talk too much about what should be the right number of runs I should be scoring at the end of the series. What did you learn from the 2014 tour of England? I was putting too much pressure on myself. After scoring many double-hundreds, especially early in my career, I thought I should be able to get a double-hundred even in England. But that is not the mindset you should have. As a batsman you should just look to play the situation, set up a good total for the team, so your focus is not about scoring runs for yourself. When you are looking at the big picture, when you are looking at putting up a decent total, your focus starts shifting to something else. That should be the right mindset. When I look at that target, I know that if I can hang around, if I can score some runs, then ultimately the team will benefit. Numbers can never tell the whole story, but they are still significant. In 14 matches in your last two seasons in county cricket you have one century and one half-century. How do you analyse your performances? When it comes to Championship games, I know that I could have performed far better. Sometimes there have been some matches where I have had to travel a lot. When I was playing for Nottinghamshire, I went out to play a Test series against Sri Lanka and then I returned to the UK to play again. Even this year I had to come back [to India] to play the one-off Test against Afghanistan and then go back and play few more county games. I started playing as soon as I got back. I did not get enough of a break. I felt I broke my rhythm, because when I was batting well, when I was scoring runs, even if it was one-day cricket [Royal London Cup], it did help me get back to form. That is the part you have to accept - that when you are playing international cricket, you should be ready for everything. But at the same time, physically, when you are travelling back and forth, you need to get used to the time zone. You are always jet-lagged and you still end up playing matches where your concentration is not up there. Although mentally you want to be there, physically you are not 100%. Those are things you just have to accept and then try and figure out a way how can you get better without getting tired. As a professional cricketer you still need to be on top of your game, which is a tough, tough thing. With more experience I will learn how to handle such situations. Out of the 12 times you were dismissed this county season, you were bowled or trapped lbw eight times. Does that irritate you? Sometimes it does. I don't want to try and find excuses, but there were a couple of questionable decisions where I knew I wasn't out. As a cricketer I have never put the blame on umpires or anyone else, so I will accept those and move forward. Sometimes things don't go your way and you end up being given out lbw when you are not. Ultimately in the scorecards it is written as lbw. Sometimes you are lbw. "When I play Test cricket I don't think I need to compete with players who play in other formats, because this format is completely different"
I am not too worried because ultimately you will have certain weaknesses or you will get out in a certain manner. You can't really be bothered about that. It is not that you start taking things lightly. You try and figure out a way where you don't get out in the same way. You have great temperament, and you know where your off stump is. But there is an area where you are still vulnerable: against the ball that nips back in around off stump. Bowlers have exposed that even in Indian conditions at times. Do you agree that it remains a slight concern? I don't think so. If you look at the balls that I got out to, especially in England, I can't remember getting out to similar deliveries in India, because I don't think the ball does a lot in India. The balls that I got out to in the 2014 Test series, any batsman would have struggled to face such balls. As for the ball that nips backs in without the bowler's knowledge, which is the case in England, most batsmen get out to such balls. I have observed that in county cricket and even in Test matches. It is always a challenging ball. So it is not a concern. But as a batsman, I know there are some areas I need to work on and which I have been working on. Some experts feel your back foot is locked in, and that makes you vulnerable against the incoming delivery. How do you look at that? If you try and analyse every player's technique, especially in England, it will never be perfect. The way the game is moving forward, even in Test cricket it is not about technique. It is about how well you know your game, what are your strengths, are you able to play to your strengths and score runs or not. Steven Smith has scored many runs, but if you look at his technique, it is completely different to a [an orthodox] one. But he is still able to score runs everywhere. My point is, it is just not about technique. Things have changed. There might be some deficiencies in each and every batsman's technique. Ultimately the most important thing is about how tough you are to survive at the international level. You can drop anchor while others play their free-flowing game. Does it count in those situations? Experience makes a massive difference. You know what to expect from the opposition and the bowlers. Someone like [Stuart] Broad and [James] Anderson, who I faced in 2014, I know what to expect from them, the areas they usually bowl, their weaknesses, the scoring opportunities against such bowlers. However well you have prepared, if you haven't encountered such situations before, or if you haven't played on such pitches, it will always be difficult. When overseas players come to India and struggle, the reason is that, whatever work they do, they can't have similar pitches back home. I haven't see any team right now that dominates round the world. Even Australia struggled in England and when England went there, they struggled. The other asset you possess is patience. 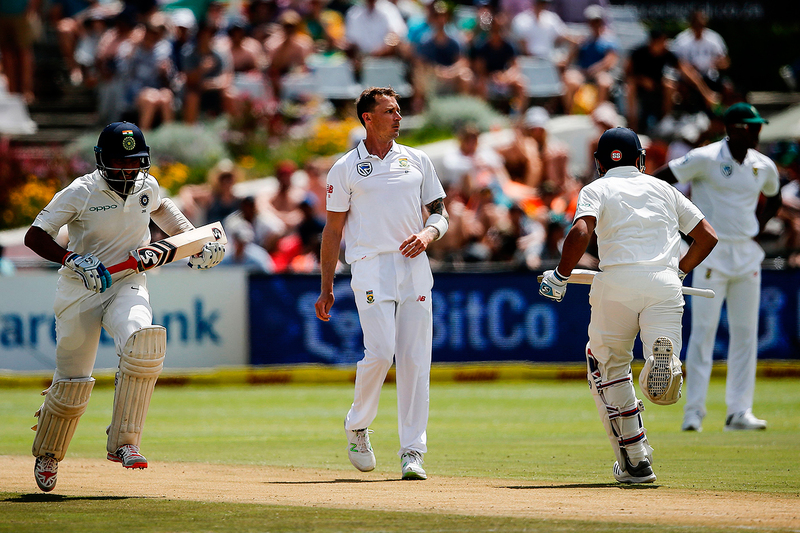 At the Wanderers earlier this year, on a spiteful pitch, you took a record 54 deliveries to get off the mark. Can you talk about that innings? When I went in, I thought they were looking to get me out. There was a lot of movement from the pitch. The balls I was getting beaten by, I was getting beaten by a lot. The distance between bat and ball was huge. I haven't played on any wicket where I get beaten by such a margin. I was playing the line and looking to play the ball, but the deviation from the pitch was so much that even the bowlers couldn't control the movement. Many times the bowlers wanted to hit the stumps but they could not. It was a pitch where I just had to show a lot of patience, leave lot of balls, wait for the right ball. I knew if I could hang in there, even if I didn't score runs, ultimately the team would benefit and we could put up a reasonable score. That is one of the best fifties I have scored in international cricket. "Steven Smith has scored many runs, but if you look at his technique, it is completely different. My point is, it is just not about technique"
The partnership you had with Virat Kohli proved to be a match-saving one. Kohli was the only batsman to get a century on that tour. Is there anything you can learn from him? He has improved a lot since 2014 as a Test player. The major reason is his one-day and T20 form. Because he has so many runs in ODI cricket, it gives him a lot of confidence to back himself and back his technique. When I was batting with Virat [at the Wanderers], we spoke about building a partnership, how to rotate the strike, what kind of the balls we should look to play, what kind of balls we should look to leave, what shots we could play on that pitch. That was mostly our conversation. Both of us were enjoying our batting, although the conditions were challenging. We were very well prepared. Even in 2013 we had such partnerships at the same venue. Before the Test match started this time, we chatted about how we had batted and how we had built that partnership. We had fond memories of batting in Jo'burg, and we just enjoyed our batting. That 2018 Johannesburg innings was your first half-century in 11 innings outside the subcontinent. It was also only your fourth fifty outside Asia. Are you disappointed you have not got more? Not really. I have a century and two fifties in South Africa. I have just played one Test series each in England, New Zealand and Australia. I would say that we haven't played in similar conditions again and again. If you look at South Africa, my first series was in 2010, and after that when I played again there, I was successful. In the third series I would say I was reasonable. I would have loved to score big runs, but the pitches were always challenging. There was only one century in the entire three-Test series. I was still a decent batsman and contributed to the team's success. Whenever I have played in a country more than once, I have always performed well. I haven't played too many matches overseas. Whatever matches I have played in India I have been successful. I always say that playing in India and scoring in India is not easy. If you ask any overseas players, they would say that scoring a hundred [in India] is always challenging. People say that I have scored many runs in India but we have [also] played enough Test matches in India. Whatever Test matches I have played I have tried and been successful in those. Even the other Indian players and the opposition batsmen had the opportunity to score where I scored runs. Whenever I have scored hundreds, it is not that I have played on flat pitches in India. What about those run-outs in Centurion- were you laughing or angry at yourself? A bit of both. It is always frustrating when you get out in such a fashion, especially in Test cricket. I was in good touch and that is why it was more frustrating. What were the takeaways from the South Africa tour? As a team we gained a lot of confidence. We came close in all three Test matches and won the final one. We had our chances but we did not grab them. We did not bat well enough. Our bowlers did remarkably well. All our fast bowlers bowled their hearts out. As a team we realised we can take 20 wickets in any conditions, in any situation. All of us did believe that and it happened on most occasions. It was just about batting little better. What about for you personally? I am happy with the way things went. I was very confident. Two run-outs and one ball of Morne [Morkel] that was almost unplayable. I always try to raise my bar. I always want to score big hundreds, which did not happen. But the way I was batting, I looked quite comfortable. I was in control. I was not struggling. That is a big positive for me. "Ultimately you will have certain weaknesses or you will get out in a certain manner. You can't really be bothered about that. It is not that you start taking things lightly"
In 2017 you were one of the best batsmen around the world. Yet each time there is a Test selection, your place seems to be up for discussion. Being a one-format player, do you feel you are always competing against others who play in all three formats? I would love to play other formats. But when I play Test cricket I don't think I need to compete with players who play in other formats, because this format is completely different. Whoever scores runs in ODIs, there is no guarantee that they will score runs in Test cricket. There is no comparison or competition in that way. When it comes to my batting or my position, I don't need to fear anyone else or anything. I have proved that I am worthy enough to be part of the Indian team. And I have performed enough in 2017-18. I obviously deserve my place. I have offered enough to the team. My team-mates and team management have acknowledged that, so there is no pressure. I just need to focus on what I need to do. Has the team management had a word with you about your role? Have they made clear what they want? Yes, yes, they have. I can't be very specific about what my role is because there are strategies involved, but I have got clear guidelines about what I need to do. And in Test cricket it is not like ODIs, where you need to have different strategies all the time. Simply put, I just need to score runs. Whatever else I have to do, I have been told clearly and I know my role. So you been assured of the security of your position in the team? There is always this perception outside that there could be pressure on you, on the way you bat, your scoring rate. Have Kohli or Ravi Shastri asked you to change the way you bat? In limited-overs cricket, especially T20, India want to be fluid with their batting order. 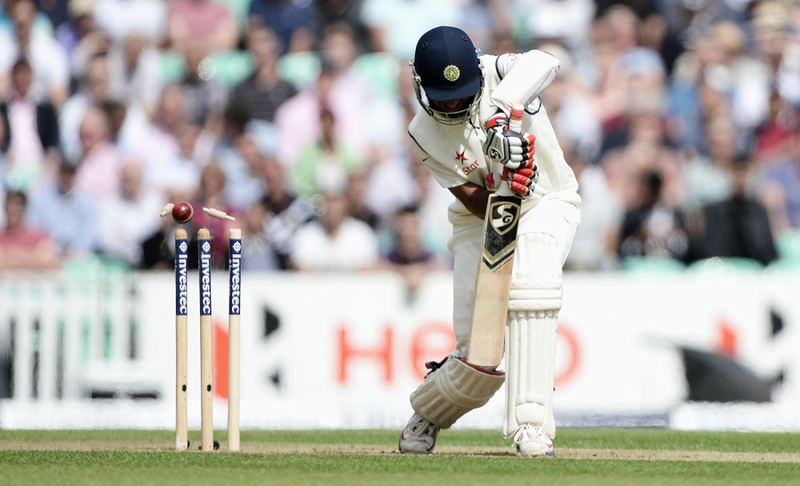 In Test cricket, batsmen have specialist positions, like you at No. 3. In the Afghanistan Test, KL Rahul walked in as No. 3 and you batted at four. Does it matter whether you bat at three or four? It does not matter a lot because you are still batting at the top of the order. The Afghanistan game was a one-off, where all three openers were playing. It was not correct to ask the openers to bat in the middle order, so all of us shifted one spot down. Batting at No. 4 is not different from batting at three. Is it fair to say you are comfortable batting at No. 3? You have to be open to bat in any position. I love batting at No. 3, but if any situation arises where I have to bat at a different position, then I should be open to that. It is always about deciding what the team wants, what the situation demands. Based on how India fared in South Africa, where they could have won the series had they taken their chances in the first two Tests, are India favourites against England? I would not use that word ["favourites"]. I would say that we are very confident. We have a fair chance of winning this series in England. After the South Africa series, we know the things we need to do to be successful overseas. We just need to repeat those things and try to perform to our potential rather than worrying about whether we are favourites or not. If we play to our potential we have a good chance of winning the series. Does the joy of playing matter more to you than making a big score? That's true. You just need to enjoy what you do. As long as you are enjoying it, you have the best chance to be successful. For how long can India's top order do the heavy lifting? Their top order has shouldered the bulk of the batting workload in recent times, but do India have themselves to blame for their middle-order muddle? What's the record for most run-outs in a Test? And which Test player was struck by lightning during a match in Kingston?